I would highly recommend refashioning for a beginner sewer who wants to jump straight into sewing clothes instead of the pillow/purse projects, which I bypassed because I did that at school and I hated sewing (or Design Technology as we called it)…it left me bored and with little passion and I don’t want to relive that. However, after two failed fashion sewing projects I was getting more then slightly disheartened on my quest to create the wardrobe of my dreams. My sewing ambitions do not match my sewing skills. 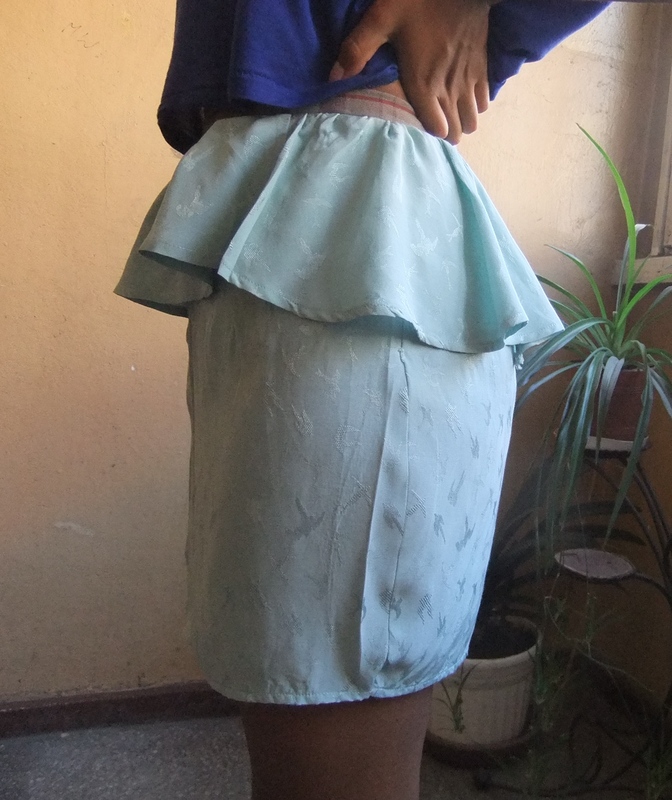 This was such a brilliant sewing experience, the skirt just came together. 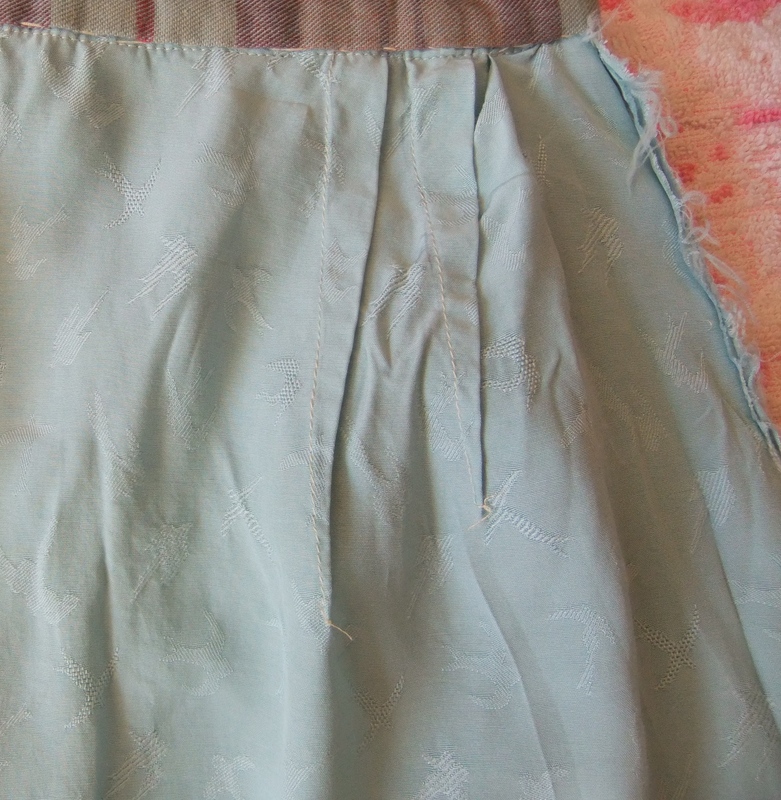 I used the By Hand London Charlotte skirt pattern for the skirt and I juuuust had enough material for the skirt, I had to improvise the waistband with some leftover material. 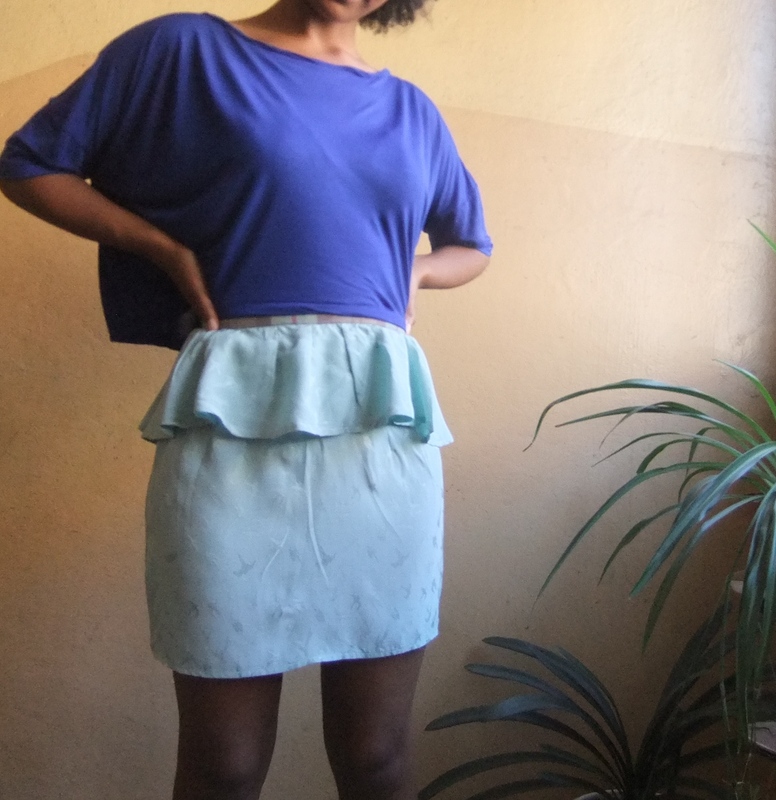 The peplum like shape of the sleeves was used to create the peplum. I was lucky because it fitted exactly around my waist. 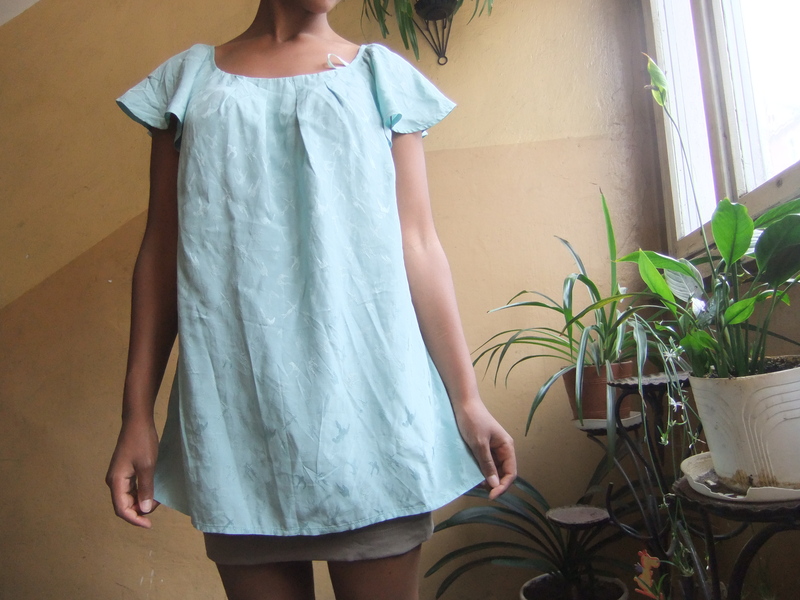 I cut the top so I wouldn’t have to do any hemming and I cut the peplum so I only had to hem the middle bit. 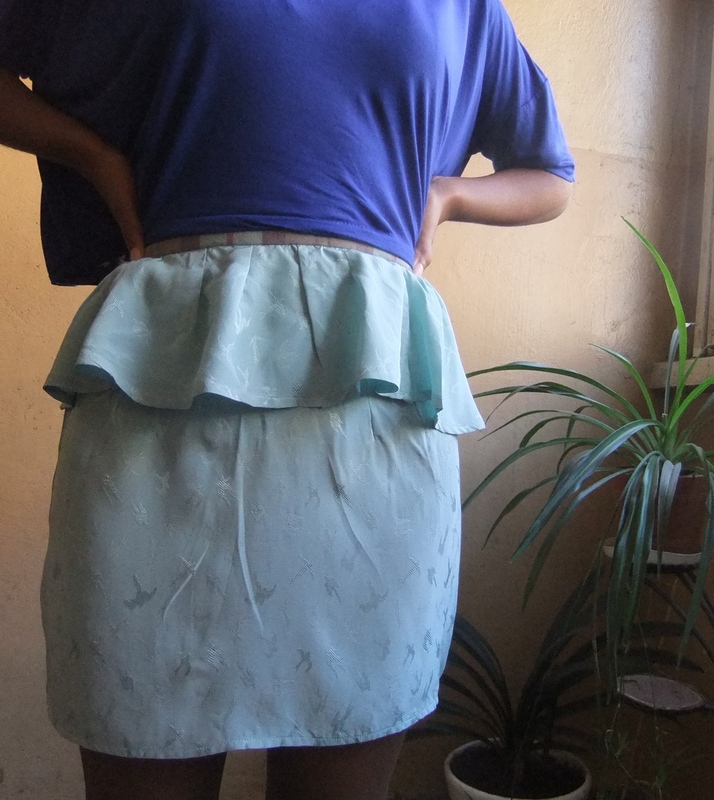 I am definitely going to wear this skirt, I just love the style and how it turned out. Despite my trepidation over the colour I have lots of tops that will go nicely with this skirt and I have loads of styling ideas. It’s the first peplum clothing item I own and I just LOVE IT. Ahhhhh the side seam, ironing this was a revelation!! I never noticed it was so wonky!! I hope that no one else will notice when I wear it in daily life and I will chalk it up to one of my handmade wardrobes quirks. 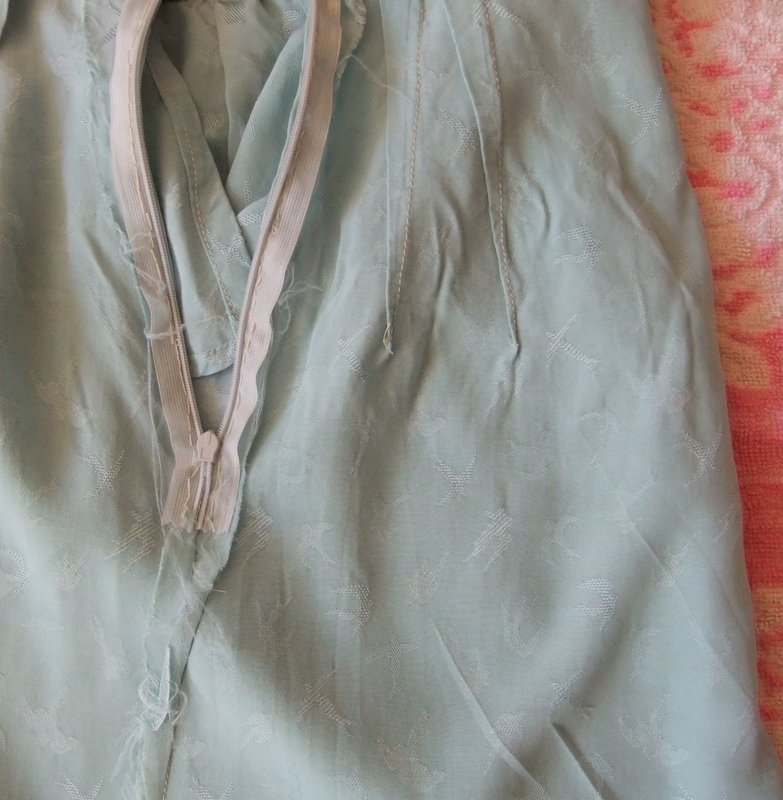 However, I did underestimate the amount of weight I have put on, I (stupidly) cut into the real BHL Charlotte Skirt pattern instead of tracing over it and I first tried out this pattern with a muslin six months ago….It fit then. 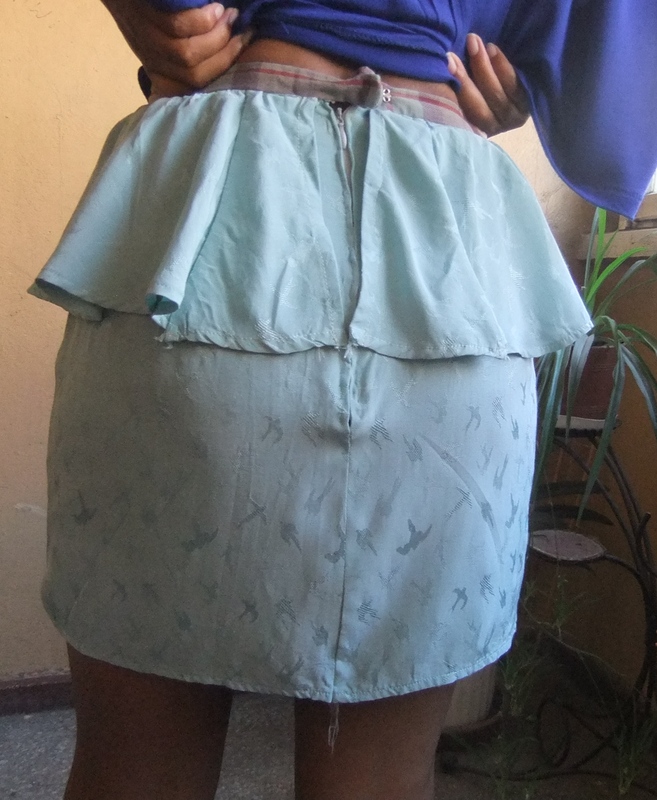 The first time I sewed up this skirt and tried it on it didn’t fit. I had to eat up a lot of the side seam access fabric to get it over my bum. So the size I cut, uk size 10, as you can see isn’t my size anymore. The ‘invisible zip’ was the hardest part of this project. I’m too cheap to invest in an invisible zip foot at the moment so I hand sewed this zip in and this is actually my most successful hand sewn invisible zip. The overall look is unpolished but however it looks and sounds…I’m really happy with my first project. I was too cheap to buy pinking shears (are you noticing a trend?) however that has been rectified. Other novice sewers beware this is what happens to your side seams when you do nothing to them and then put them through the washing machine. I am happy with my darts though, they are beauties to me. Here’s to progress and lifelong learning and getting better and better.